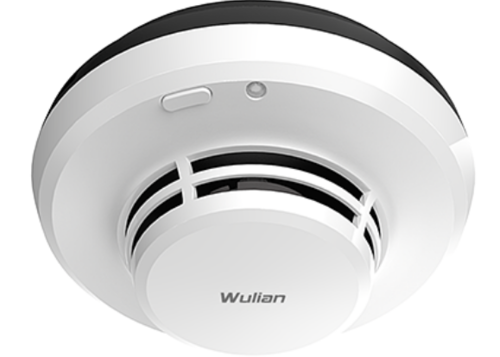 Wulian smart smoke detector can apply to ZigBee smart security system. The notifications can be seen by App. It will support tamper alarm. And strong anti-interference ability with low false alarm rate. We, at Astute Automation, are considered in the market to be amongst the leading traders, distributors, retailers and suppliers of this commendable range of Automation Systems, ever since our establishment in the year 2011. The offered range, highly acclaimed and asked for, comprises the finest Home Automation Systems, Lighting Automation and Sensors for Lights & Security. Making of this range is commenced as per the norms and guidelines of the industry and utilizing the finest raw materials and modern machines, at the vendor’s end. Some of our most reputed vendors are HAI, DSC, Lutron, AMX, Atlantic Technology, Klipsch, Yamaha, Beam, Steinel, Boston Acoustics and Marantz This ensures the product’s standard of quality. Further, the finest Home Automation Services are provided by us at the most reasonable rate possible. Unlike others, we don't outsource! We have our own technology professionals and who will guide you, from the beginning to the end of the project, such as selecting appropriate products and technology. Our well skilled design team, will analyze your floor plan and provide you electrical and equipment layout diagrams. Our field engineers will visit site frequently and notice you , if some changes need to be done,then he start installing devices at right time & place, knowing your family's preference and living style. Today’s ‘always-connected’ tech-savvy homebuyers expect the same convenience and control in their homes that they get from their smartphones, which is why builders prefer adding Astute’s automation solutions as a standard offering to their development projects. One of the reasons builders are attracted to Astute Automation is that we pride ourselves on offering the latest technology and household amenities to make life more entertaining, more comfortable and more convenient. We will jointly market the benefits of home automation, with builders, to prospective home buyers .